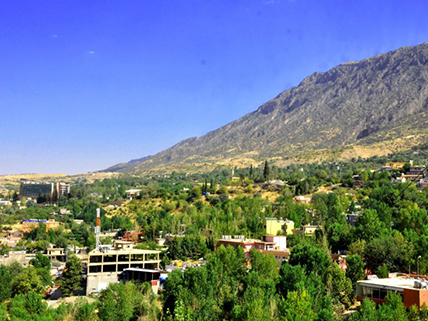 Shaqlawa is a popular holiday destination located between the Safeen and Sork mountains. Known as the Pride of Kurdistan, Shaqlawa has an abundance of waterfalls, springs, trees, and greenery. Its beautiful nature and climate attract tourists from across Iraq and abroad most weekends and by dusk the streets are full of visitors strolling through the peaceful streets, window shopping, snacking from street vendors, or enjoying one of the town’s many restaurants. Most the population of Shaqlawa are Kurds and Assyrians who belong to the Chaldean Church. So traditionally the city has a multicultural, peaceful, tolerant society and is friendly towards foreigners.